MEDIA & SCIENCE - "An Ecology Experience That Is Simple, Pure and Natural!" Both print and social media play an important role in providing additional exposure about West End incredible nature and areas of interest. Then there is the science behind the stingray research that is under the supervision of the world renowned Guy Harvey Institute at Nova Southeastern University in Fort Lauderdale, Florida. The Guy Harvey Institute has conducted extensive research on the behavior of stingrays at Cayman Islands Stingray City. According to the Guy Harvey Institute web site - "The Cayman Islands are home to two of the world's best known dive and snorkel sites, Stingray City and the Sandbar, where large numbers of Southern Stingrays (Dasyatis Americana) aggregate in response to feeding by dive operators. These sites attract nearly half a million visitors per year from around the world who enjoy a unique educational experience interacting with these charismatic animals. There are concerns, however, that extensive human interaction and supplemental feeding almost daily may be having subtle negative impacts on the behavior and general ecology of the stingrays. Maintaining the biological health of these stingray populations for the long-term will require management and conservation programs based on a thorough knowledge of the biology of these animals. To gain a better understanding of stingray biology and aid in conservation efforts, scientists at the GHRI are conducting research on the behavior, reproduction, genetics and population characteristics of the southern stingrays in the Cayman Islands and Caribbean." The University of Rhode Island has conducted joint research with Guy Harvey into stingray behavior and have note of the findings on their web site link below. West End Ecology Tours welcomes smaller, intimate groups to our Stingray Feeding interaction sessions to limit over exposure with humans. Many of the Stingrays possess personalities and have been given names because of their behavior and traits. These incredible and often misunderstood animals are a pleasure to watch in a quiet and relaxing manner. 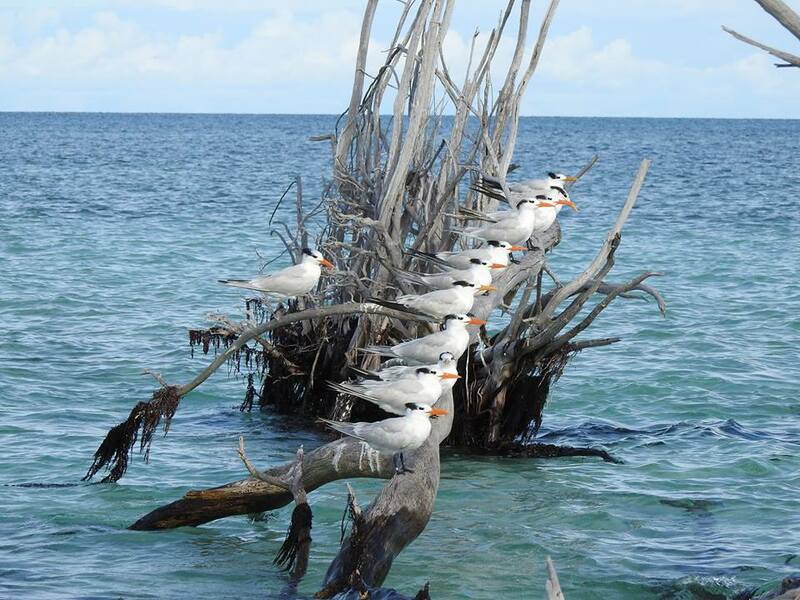 Trips to the cay are scheduled on a per request basis and contact is limited due to the fact that the tours are not scheduled as frequently. This is done to ensure the stingrays maintain their natural foraging behavior and not become over dependent on human feeding. The water surrounding the "home" of the stingrays are shallow and require prearranged planning to arrive when the tide is rising. This will avoid not being able to depart the cay before low tide. 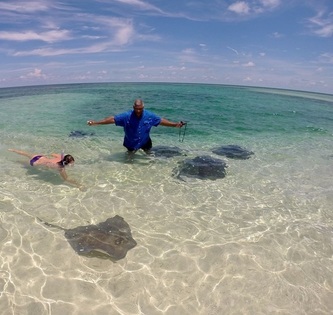 The educational tours offer guests with the opportunity to learn about stingray behavior as well as snorkel with them in their natural element. 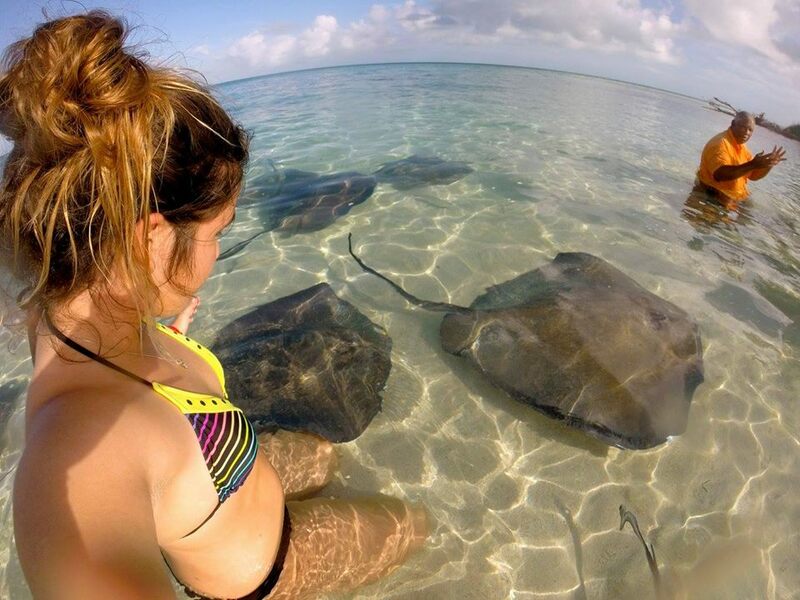 Visitors are welcome to photograph and video the rays as they meander between snorkelers, sleep on the bottom of the sea or while sitting waist deep at the shoreline. ​Please take a minute and read what various media outlets have to say about the company as well as the informative links to Guy Harvey's Stingray and Ecology Research and University of Rhode Island web sites. 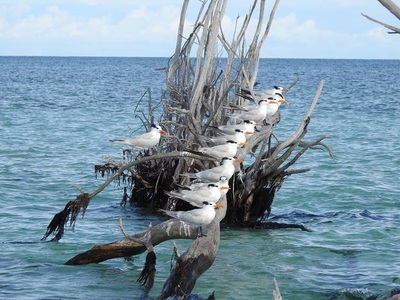 2nd Year In A Row Ranked by USA Today 10best.com #1 Tour On Grand Bahama. Marine Fishes of Florida, David B. Snyder and George H. Burgess - If you are looking for a guide to better understand sharks and rays as well as a select reef fish species this book will exceed your expectations. We hope you'll come and Visit WEST END Soon!